Lately I’ve been going downtown for late night walks and have found an area I hadn’t seen before. The downtown area is my favorite part of Vegas – much more interesting in my opinion. It’s older look, not as flashy or pretty, but much more interesting. I’ve seen some pretty fantastic graffiti art over in the Arts District, but hadn’t seen any up this way. Pretty gifted artists. Even though I generally prefer black and white for my photography, some of the colors here really added to the images. Looking forward to my next walk! Using the Fujifilm X100 Lens Hood and a Lens Cover – Yes, at the same time! I’m probably (probably?) a little slow, but just wanted to share my latest move with other X100 users who might benefit from this idea. The accessories that are made for the Fuji X100 are very cool, and made of sturdy metal construction. The lens cover is metal with a felt-like interior; and the lens hood is also metal and very stylish. The problem I faced is that when the lens hood is on the camera, the lens cover won’t work. If you want to put the lens cover on you’ll need to remove the lens hood first. Neither of those options really appeal to me. I simply bought a third party 49mm lens cover for a few bucks and it attaches securely to the lens, and is small enough to fit inside the lens hood, should one want to have both on the lens at the same time. That works great for me. Now I can travel with the lens hood attached, and just remove the tiny lens cap and stick it in my pocket when I’m ready to shoot! The perfect solution. I hope this helps anyone out there who also would prefer this type of setup. Grab a Snack and do Your Laundry too! Was down in the Arts District today and got a couple shots. There are a variety of bail bonds services down in this area, but for some reason the In-n-Out Bad Girl Bail Bonds office always stands out to me. Only in Vegas. Haven’t heard a single bad word spoken about this new camera (unless you count Steve’s scratch on the display). You can also check out Steve Huff’s post about this which includes some great low light shots from the X100s. Have you been drooling over the latest in the X series from Fujifilm, the X100s? You’re not alone. This camera is receiving much the same level of excitement as the first version, the X100. The X100s has retained most of the lovable features as it’s predecessor. And has added some new, exciting improvements. For the masses that love this camera, the really love it! Others are on the fence. Maybe your more of DSLR person, but have been being a little enticed by all this talk about mirrorless cameras. 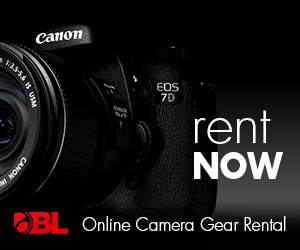 If you’re considering buying this camera but aren’t quite sure yet, BorrowLenses.com (affiliate link) will rent it to you so you can get handson experience with the camera to see for yourself if this is a must-have. NIK Software from Google for $149! For anyone who already uses any of NIK’s software, you already know how cool it is. I’m a big fan. I only have two of their plugins but I, almost religiously, use them on every shot I edit. For color shots, everything will go through NIK’s Color Efex Pro 4. For my black and white shots (like the one above or any of the shots on this site), everything takes a trip through Silver Efex Pro 2. I even have Snapseed for doing fun edits on my iPad or iPhone. It’s by far my favorite app for mobile edits. It’s always a little scary when a company as big as Google buys a company who creates products you use. Will they continue to produce those products in a way that still works for you? Well, that still remains to be seen in this situation. Last year Google bought NIK. They’ve made a couple changes so far. The first one was discontinuing the desktop version of Snapseed. I never used Snapseed as a desktop app, but I’ve heard from others who are a little bummed and concerned by this move. But, a very nice and recent development – You can now purchase the entire collection of NIK plugins for $149!!! That’s incredible! I love the NIK plugins that I use and they help me a lot when it comes to processing my images. $149 for this editing power is a steal! Not sure yet? Get the free trial (15 days). You can get a free trial version of these plugins and see if you like them. Can’t beat that with a stick! They offer versions that work with Aperture, Lightroom and Photoshop, so whatever platform you’re using, NIK will fit right in. BTW, I’m not an affiliate and have no association with NIK other than just being a satisfied customer. 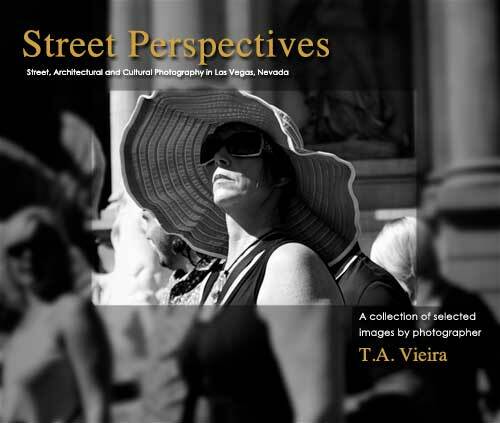 See new photos, videos and posts covering street photography in Las Vegas delivered straight to your inbox.